﻿ News Bharati - Strapping tourism and trade knots between India and Monaco..!! News Bharati - Strapping tourism and trade knots between India and Monaco..!! Strapping tourism and trade knots between India and Monaco..!! New Delhi, February 4: “There is vast scope for co-operation between India and Monaco in several sectors including tourism. The list of sectors for cooperation is endless starting from fin-tech, financial services and banking to tourism and healthcare services and the opportunities are innumerable”, said commerce minister Suresh Prabhu while addressing the India Monaco business forum on Monday at the national capital. “The evolving global economic challenges of today are also creating opportunities for the two countries to re-align and widen their economic engagements, deepen their existing cooperation to re-shape things and benefit”, he added saying that the duo can also cooperate in climate change, with the use of high-end technology to mitigate the ill effects. Monaco is considered a hub of emerging opportunity for the tourism industry. Tourism has very strong prospects with Indian tourists looking for leisure and adventure in Monaco. Collaborative work with Indian counterparts can be initiated in the field of chemicals and petrochemicals as well as in the production of plastics and electronics, the Minister added. India is poised to become a USD5 trillion economy by 2025 of which 3 trillion will be generated from the services sector. In order to achieve this target 12 champion sectors have been identified. Monaco’s free-market economy increasingly driven by its industry and service sectors, backed by one of the highest per capita incomes in the world and investors friendly policies, are further supporting its credentials as an ideal business and investment destination for Indian companies. 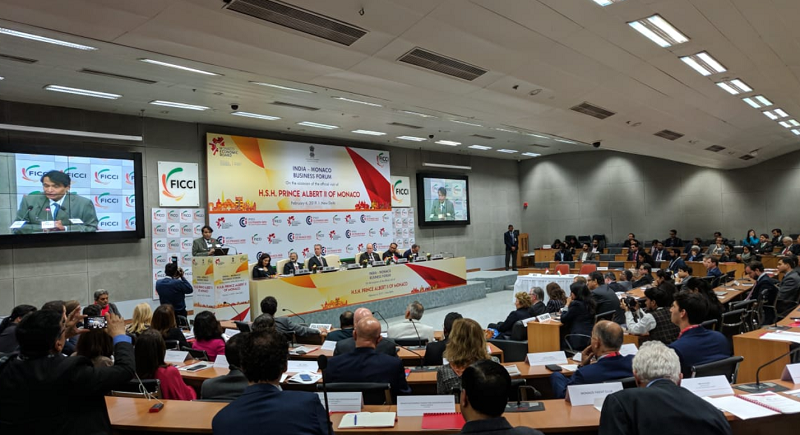 Monaco’s emerging opportunities further complement India’s most promising sectors, with expanding space for investment in a range of services and skills. Bilateral trade between India and Monaco in 2017-18 was USD 3.01 million, and there is immense potential to scale up the bilateral trade between the two nations. Monaco is ranked 106th among foreign direct investor in India, with USD 2.51 million FDI equity inflow.